Interesting concept and unique characters bring life to the first book in a new DC Brennan crime series. Dr. Ashleigh Taylor is a forensic pathologist who determines what Senior Constable Brennan believes is a suicide, is actually the murder of an elderly woman in her home. Her death changed the life of her wealthy son, especially when someone now seemed to be after him. Twists and turns keep the story moving forward to the surprise ending. 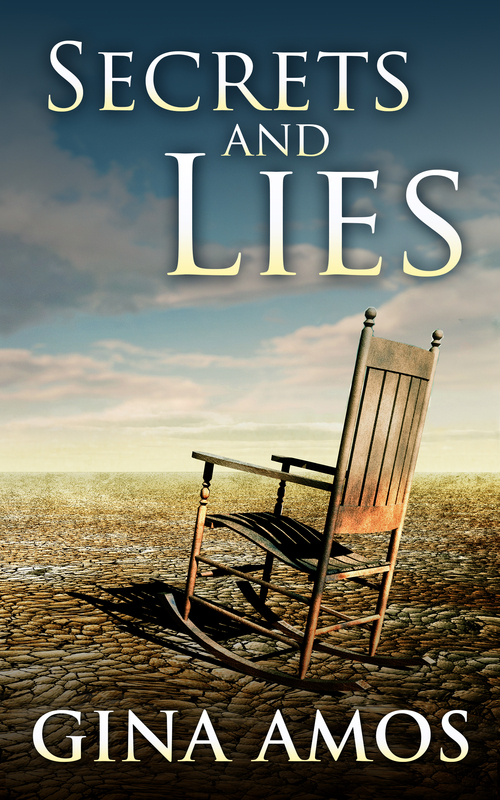 We are looking forward to the next DC Jill Brennan episode.This review is based on a complimentary copy of Secrets and Lies provided by the publisher in exchange for our honest opinion. I stumbled across this title quite by accident and I must say I was very impressed by the author’s ability to weave an unpredictable plot in a very convincing way. Interesting characters well drawn and a good sense of mystery. It was a story that you really had to follow with its twists and turns. I enjoyed this very much. The characters were well defined and it made me want to get to learn more about them and the direction their lives take in the future. 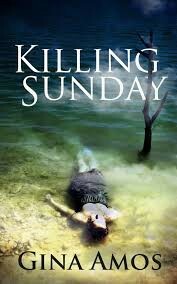 Another fine mystery from Gina Amos, Killing Sunday, the second in her new series hits the spot. Brennan is in the right spot at the right time to go undercover in an attempt to solve a Sydney, Australia art fraud case. During their investigation they run into fraud, money laundering, drugs, and murder with surprise consequences. It’s March and it’s hot in Sydney when the body of an unidentified woman washes up in the harbor. Brennan wants to move up to detective and hopes this case can do that for her.Numerous twists and turns will keep readers turning pages in this intriguing mystery. A fast-paced story line and well-rounded characters, especially the two main characters, will keep readers coming back for more of this solid series.This review is based on a complimentary copy of Killing Sunday provided by the publisher in exchange for our honest review. I was pulled right into this book from the very first chapter. The murder case is filled with mystery and misleading paths that kept me intrigued and motivated. The further I read the more curious I was to unravel this case alongside Nick and Jill. They were two exhilarating characters that moves mountains to solve any case. I enjoyed the development of the story and it was well integrated with adjoining criminal cases. Surely, this tale had me hooked! The story moves along at a cracking pace with enough twists and turns to keep you guessing at the final outcome. The characters are real, particularly Brennan and Remis. A hint of romance in the air – the next instalment will be interesting. It’s always interesting reading a story set in your own home town. And Gina Amos knows Sydney well as we saw in her first book, “Secrets and Lies”. Her vivid and evocative descriptions of the crime, set against the backdrop of a cosmopolitan city, add to the excitement of her crime writing. The characters are well drawn and authentic. The added complexity of the interpersonal-relationships and the thematic device of art fraud, keep the reader engaged to the end. Another good read from Gina Amos! If you relish reading a murder mystery you will delight in “Killing Sunday.” Author Gina Amos has written a book that deals with drugs, money-laundering, fraud and murder. The story is set in Sydney, Australia against the backdrop of the art world and the northern suburbs of the city.Killing Sunday is as much about the principal characters Detective Inspector Nick Rimis and Detective Jill Brennan’s as it is about their investigations. Their interpersonal relationship is exceptionally well handled, drawing readers into the story and holding one’s attention up until the very end.